The end is nigh. As the year comes to a close, it is time to take one last look at some of the quirkier stories that made the headlines. You can click here to catch up on some of the most significant and shocking developments of 2018. Most of the festive stories will be found in the uplifting list, although we do talk about Rudolph, the Red-Nosed Robber. There is another Christmas-y crime tale as we explore an Arctic bank robbery. There are also a lizard which breathes underwater, a space hippo, bright blue lights above New York City, and a new prime number. Someone is trying to besmirch the good name of Rudolph, the Red-Nosed Reindeer. While the real one was out helping Santa Claus deliver gifts to all the good boys and girls, someone wearing a Rudolph mask robbed a business in Fort Collins, Colorado. 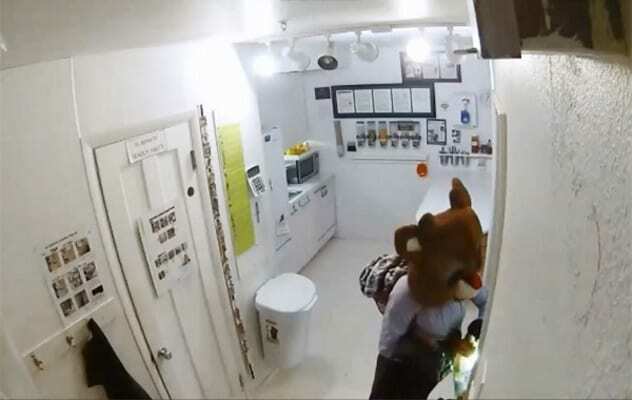 Police have security footage of a woman who burgled a company disguised as the iconic reindeer. Alas, she was not wearing the full costume, just an oversized Rudolph head. It didn’t seem to be the most sensible choice of concealment, though, because at one point, she takes off the mask and looks into an overhead security camera. Scientists have filmed a lizard breathing underwater for the first time. The serendipitous phenomenon was caught on camera by chance while filmmakers were in Costa Rica shooting an animal program for the Smithsonian Channel. They filmed a small female lizard called a river anole sitting underwater for almost ten minutes. At first, they didn’t realize they’d captured something truly special. They simply thought the lizard was holding its breath, as anoles can stay submerged for up to 15 minutes at a time. However, when they got the opportunity to inspect the footage more carefully, they noticed a tiny bubble of air contracting and expanding on the lizard’s head. This ability was previously unheard-of in lizards. They shouldn’t be confused with salamanders, which might look similar but are actually amphibians. Now, the footage will be reviewed by biologists and other nature experts, and the results will be published in a peer-reviewed journal. At the moment, researchers believe the lizard’s ability is akin to deep-sea divers who recycle their oxygen supply. For the first time ever, a man committed a bank robbery in one of the northernmost settlements in the world. Svalbard is a Norwegian archipelago located roughly halfway between mainland Norway and the North Pole, mainly known for having more polar bears than people. 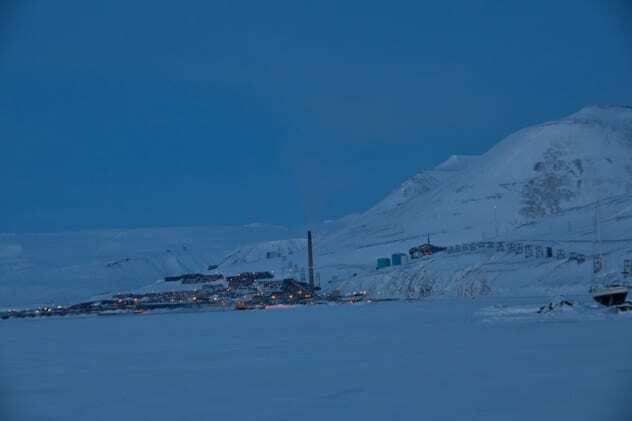 The largest city and the administrative center in the region is Longyearbyen, a settlement with about 2,100 residents. It is one of those remote regions where everybody knows everybody, and there’s only one small airport that flies people off the archipelago. In other words, it is not an ideal choice for a criminal looking to make a quick getaway. Last week, a man robbed a bank in Longyearbyen but was apprehended minutes later in the town center. He was detained and later sent to the town of Tromso in mainland Norway. Police haven’t given any details regarding the crime or the perpetrator, other than saying that he was a foreigner and was armed with a gun. There is a new largest-known prime number, and it is almost 25 million digits long. 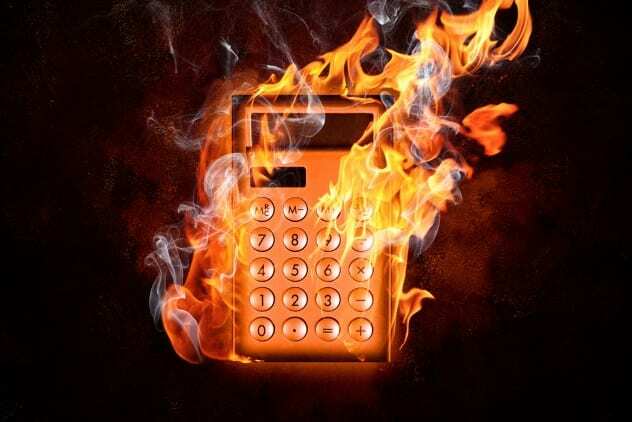 Just as a quick refresher for those who aren’t mathematically inclined, a prime number is a natural number which can only be divided by two whole numbers: itself and 1. A Mersenne prime number (named after a 16th-century French monk) is a number which is one less than a power of two (2n – 1). In the mathematics world, there are people who become quite obsessed with the ongoing search for ever larger prime numbers. There is even a volunteer project called the Great Internet Mersenne Prime Search (GIMPS), in which people download special software and let it run on their computers to seek new numbers. GIMPS started in 1996 and has since uncovered 17 Marsenne primes, and 15 of them were the largest-known prime numbers at the time of their discovery. The latest find came courtesy of Patrick Laroche from Ocala, Florida. He made the discovery on December 7, and it took mathematicians a few weeks to verify. The number is 24,862,048 digits long and has beaten the previous record-holder by a whopping 1.5 million digits. The United States Consumer Product Safety Commission revealed the latest data from its National Electronic Injury Surveillance System (NEISS). It is a database which monitors roughly 100 American hospitals with emergency departments for injuries related to specific products. It includes statistics for people who required medical assistance to remove objects that got stuck inside them. In other words, it is time to find out what things people have been shoving into places they shouldn’t have this year. 5 Do You Want A Hippopotamus For Christmas? Earth received a visit from a space hippo just in time for Christmas. 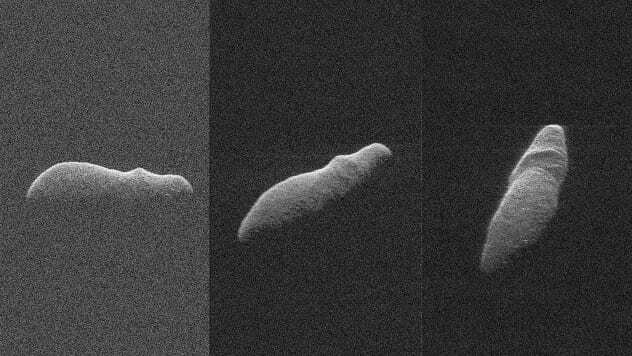 The asteroid was approximately 1.6 kilometers (1 mi) long and buzzed Earth at an approximate distance of 2.9 million kilometers (1.8 million mi). This was its closest approach in over 400 years, and it won’t fly any closer to us until 2070. There was never any danger of the rock impacting our planet (nor will there be in the future), but the short distance did allow NASA to take some remarkably detailed photos of the space hippo. 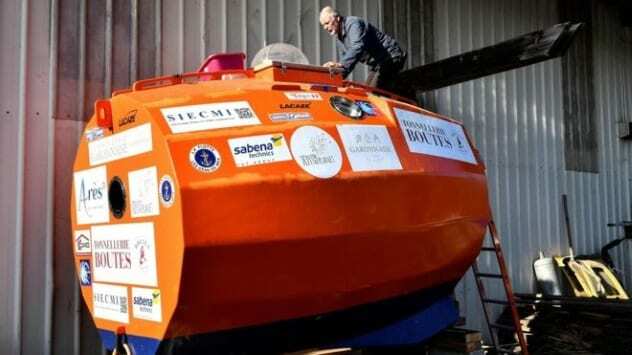 A Frenchman has set off to cross the Atlantic Ocean in a barrel. Jean-Jacques Savin departed from the Canary Islands and hopes to make it to the Caribbean in as little as three months. Calling his vessel a barrel might be a bit of an understatement, though. It is a barrel-shaped orange capsule which the 71-year-old former military paratrooper built himself. It is made out of resin-coated plywood and reinforced to withstand the constant battering of waves. There is a kitchen, sleeping bunk, and storage unit within 6 square meters (65 ft2) of living space. It also has a solar panel to generate enough power for communications and GPS. The “barrel” cost around €60,000 to build, which Savin mostly raised through crowdfunding. The capsule is not powered by anything. The Frenchman believes that the ocean currents will be enough to carry him on his 4,500-kilometer (2,800 mi) journey. He will also be dropping markers along the way to help scientists study the currents of the Atlantic. As far as his final destination is concerned, Savin believes he will arrive in Barbados, although he would prefer a French island because there would be less paperwork. 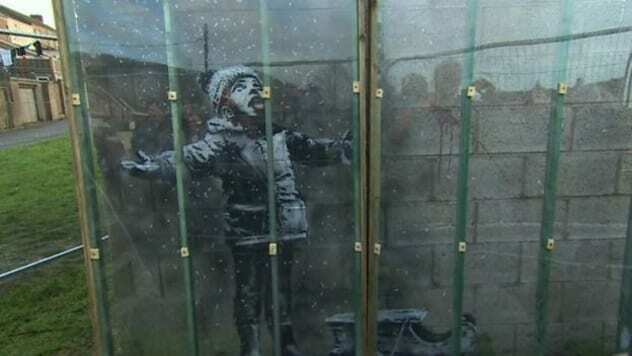 Last week, a new artwork from mysterious artist Banksy appeared on a residential garage in Port Talbot, Wales. Immediately, police were concerned that the installation might be targeted by “some idiot who wants to make a name for themselves.” Their fears were proven correct, as a “drunk halfwit” tried to vandalize it last Saturday. 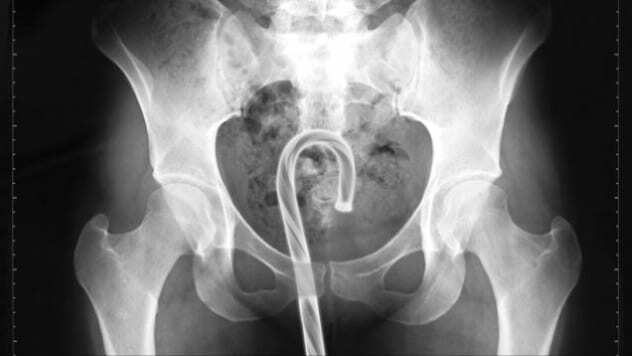 The work of art was claimed by Banksy in an Instagram post, where he also named it Season’s Greetings. It wraps around the corner of a garage. On one side, it shows a child in the snow, seemingly trying to catch a snowflake on his tongue. The other side shows that the “falling snow” is actually ash coming from a dumpster fire. Unsurprisingly, thousands of people have already turned up to see the latest Banksy, and many more are expected. The local council was caught unprepared to deal with this influx of people. So far, volunteers have been looking after the artwork. Actor Michael Sheen, who is from Port Talbot, paid for a protective screen and a security guard. This turned out to be a fortunate move because the guard chased away a drunken would-be vandal. The unidentified man tore down part of the plastic screen but ran away before causing any actual damage to the artwork. New York City was treated to an eerie light show Thursday night that had people thinking an alien invasion might be upon us. 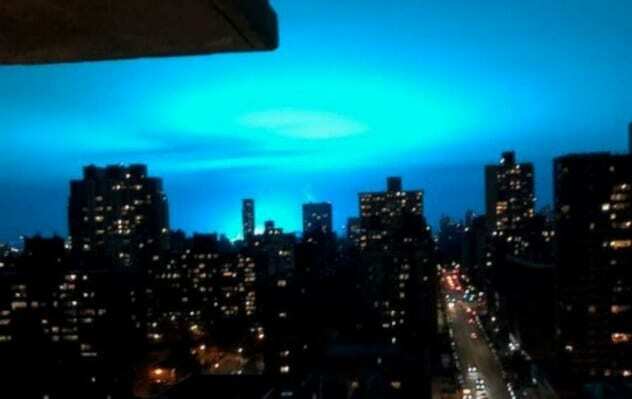 In reality, it was a transformer explosion at an energy plant in Astoria which caused a massive blue glow in the sky above Queens. We end the year with an exciting discovery that promises to yield more information about the origins of the universe in 2019 and beyond. Astronomers from the M. Keck Observatory in Hawaii found a “fossil cloud” of gas which was created around the time of the Big Bang. The discovery was made somewhat by chance. Scientists were able to spot it because it had an incredibly bright quasar behind it. They pointed their spectrometers at the cloud and found it to be extremely low in density, unaffected by heavy particles which permeate throughout the universe. Astronomers call this cloud a “true relic of the Big Bang” but also believe it could only be the tip of the iceberg, now that they know what to look for. 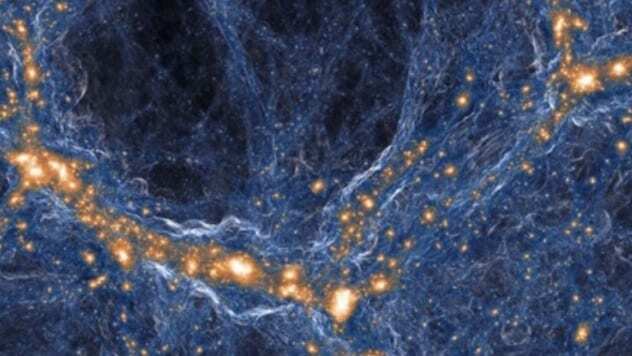 They are hoping that finding more could show us why some gas clouds turned into stars and galaxies and others did not. Read more offbeat stories you might have missed from December 22, 2018, and December 15, 2018.